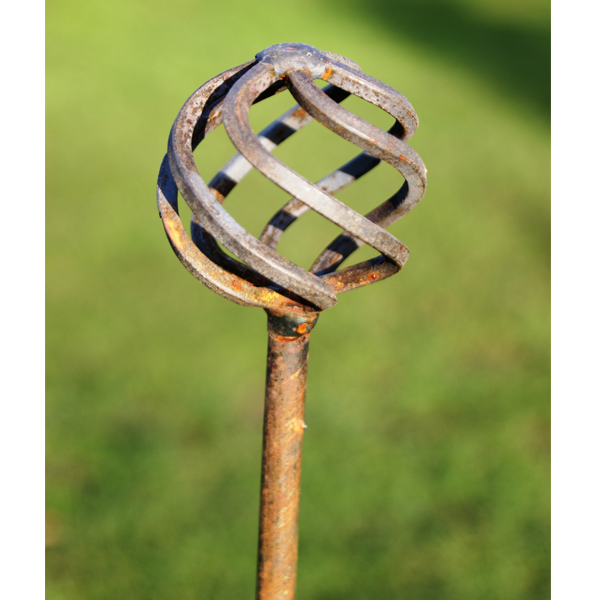 The Poppy Forge Cage Ball Pin Support is a charmingly decorative plant pin, which will look lovely nestled amongst vivid flowers. The pin arrives 'ready to rust' so is coated in a durable bronze finish over an iron phosphate primer. This allows natural rusting to occur and can be achieved in around a month. The final look of the pin support will be rustic and authentic, adding interested to your flowerbeds or pots. All of Poppy Forge’s products are British designed and made. There are 9 different support pin designs available in this range.